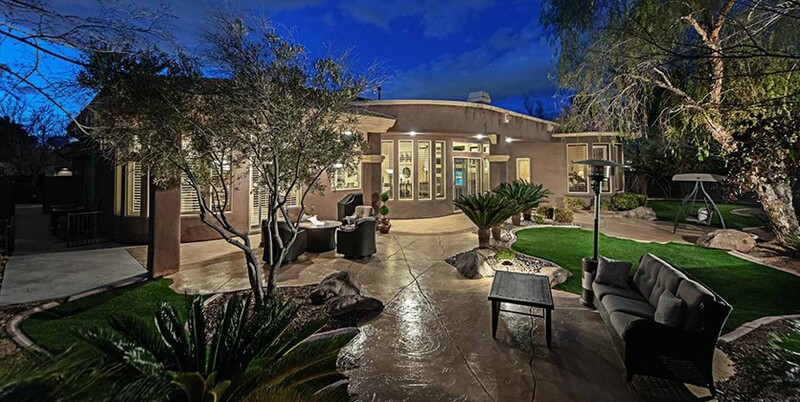 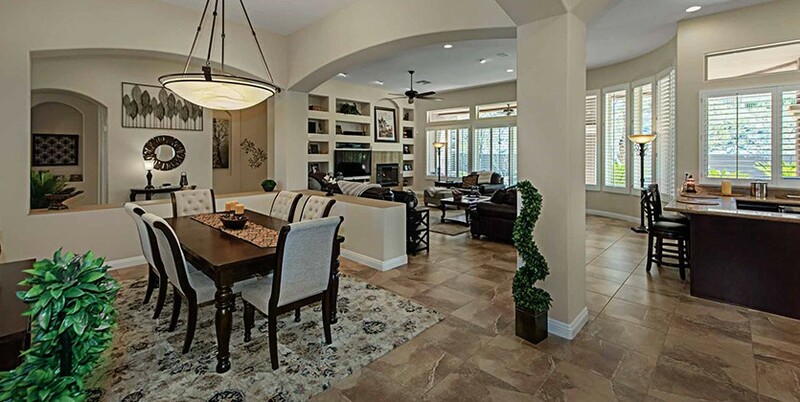 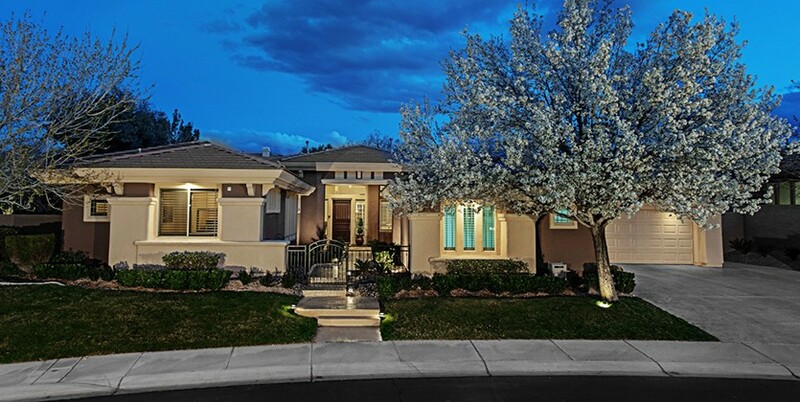 An incredible single story home in guard gated Anthem Country Club with a gated courtyard entry, stamped concrete driveway and walkways, lush finely manicured landscaping and gorgeous curb appeal! 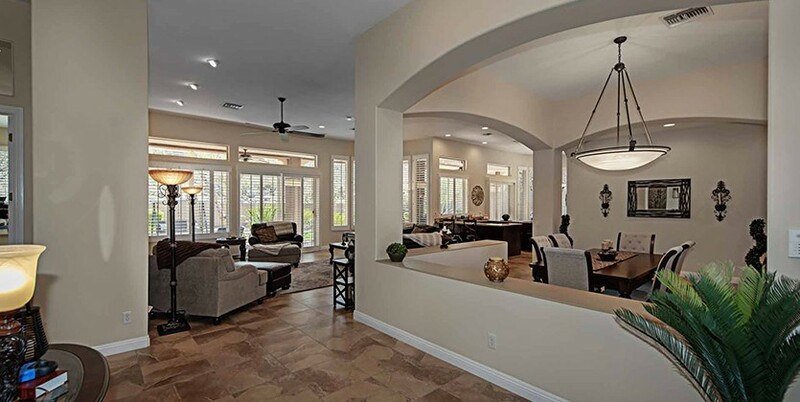 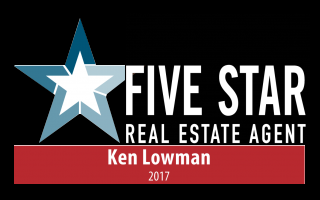 The amazing open floor plan includes 5 spacious bedrooms, a large great room with a wet bar, a fireplace and walls of windows that offer an abundance of natural light! 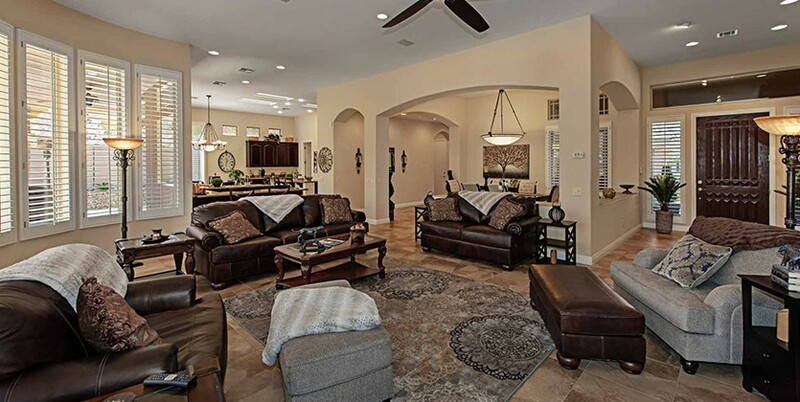 Adjacent to the great room room is an open kitchen with a large island/breakfast bar, granite countertops, a cozy nook and Wolf stainless steel appliances. 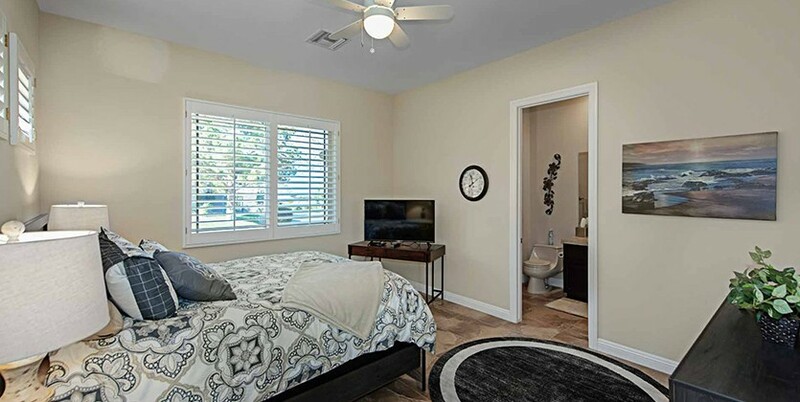 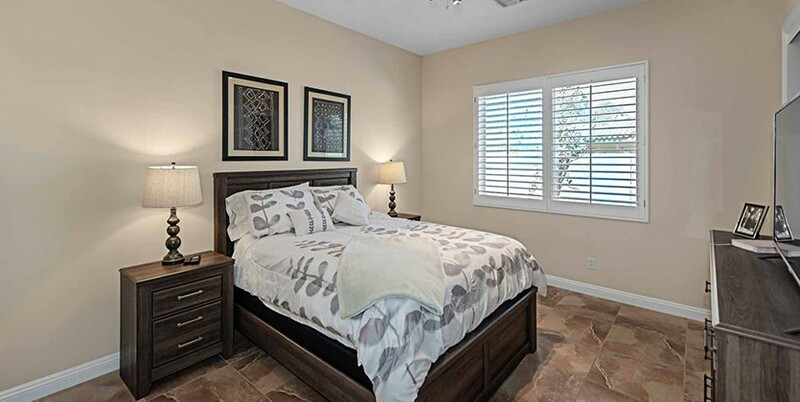 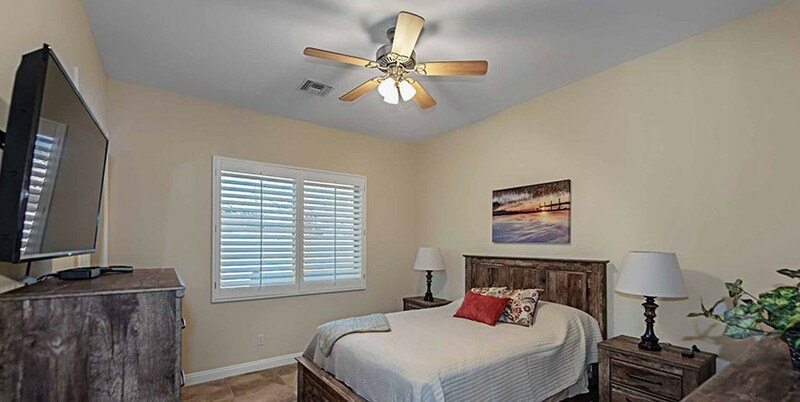 The Elegant master retreat is an ideal place to unwind at the end of the day with a cozy sitting room, large walk-in closet with built-ins and luxurious master bathroom. 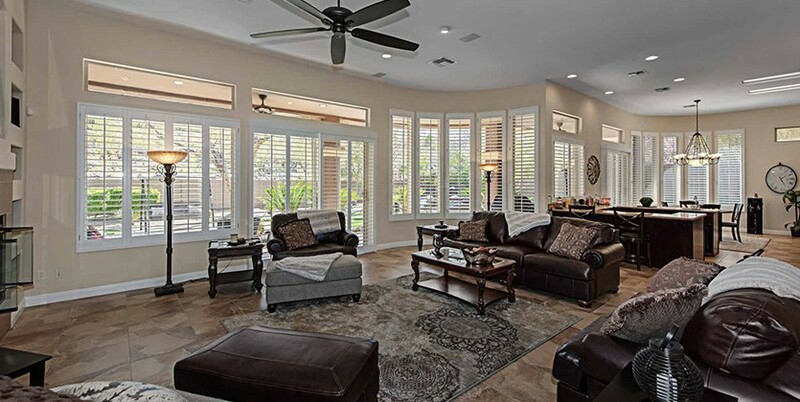 Walls of windows bring tons of natural light throughout this stunning home along with inviting views of the backyard beautiful landscaping, a pond with waterfall, several regal palm trees and a covered patio. 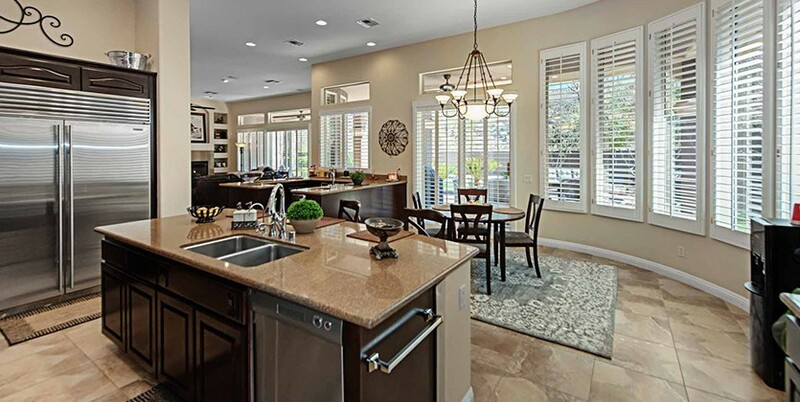 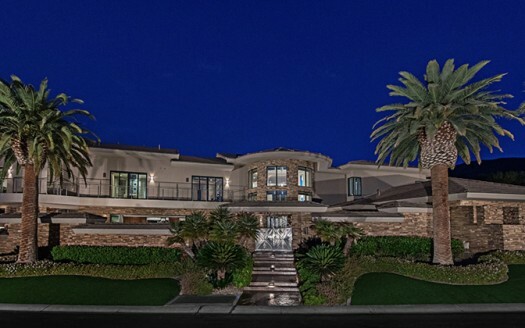 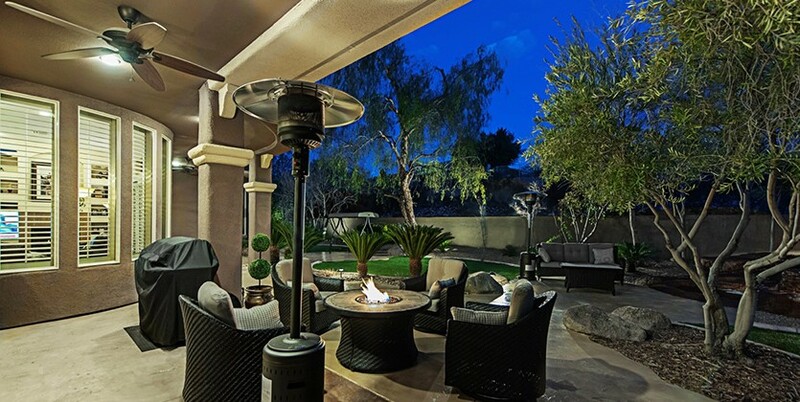 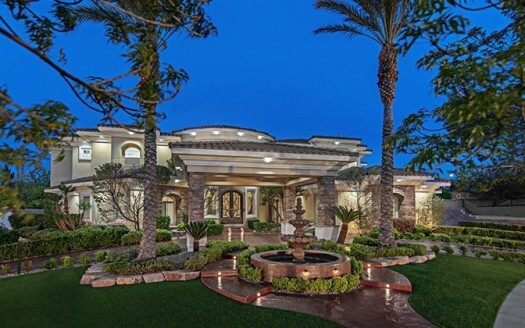 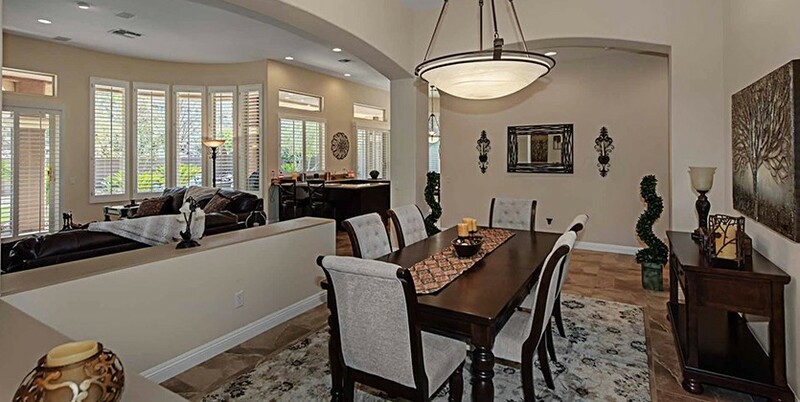 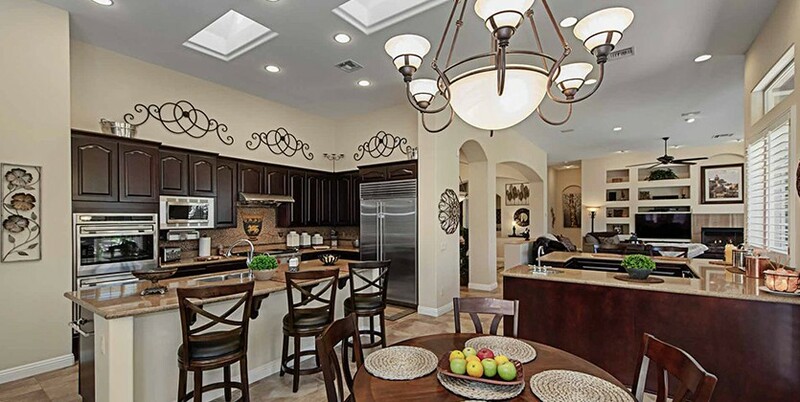 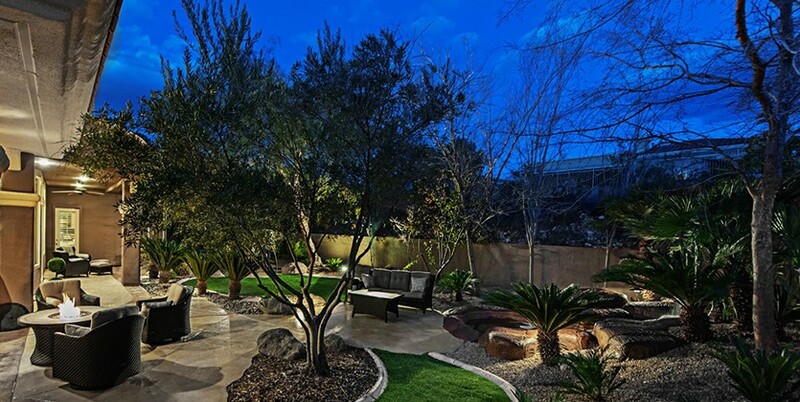 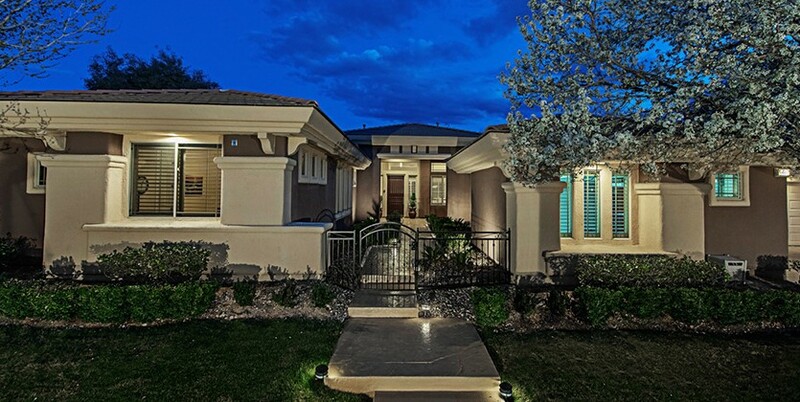 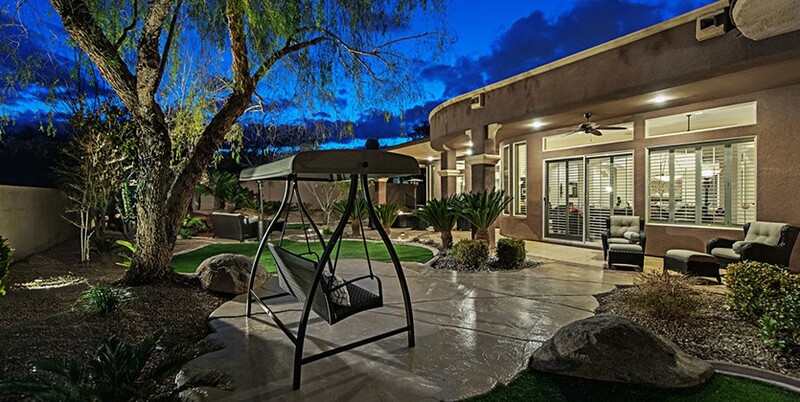 24-hour guard gated Anthem Country Club is located just 15 minutes from the Las Vegas Strip and features the spectacular Hale Irwin – Keith Foster designed par-72, 7,267-yard championship golf course. 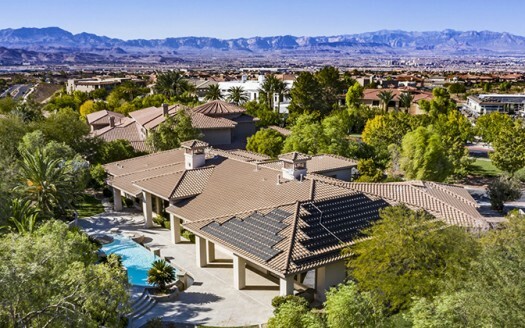 It also features an incredible fitness center, The Grille Restaurant, 6 lit tennis courts and spectacular scenery!